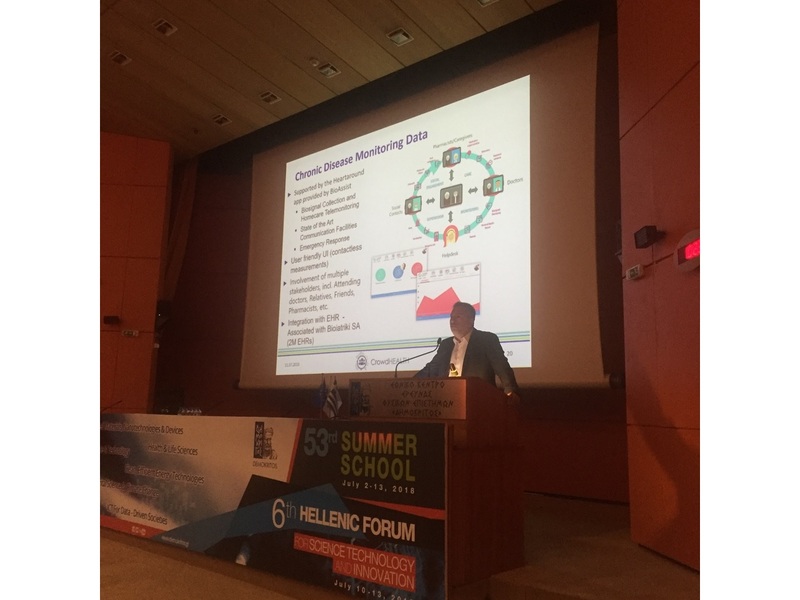 Within the framework of this event, Dr Dimostenis Kyriazis and Dr Ilias Maglogiannis participated in a Symposium about Big Data For Precision Medicine and presented "CrowdHEALTH: Holistic Health Records & Big Data Analytics for Health Policy Making"
As a summary, they pointed that today’s rich digital information environment is characterized by the multitude of data sources providing information that has not yet reached its full potential in eHealth. The aim of CrowdHEALTH, as they explained, is to introduce a new paradigm of Holistic Health Records (HHRs) that include all health determinants. HHRs are transformed into HHRs clusters capturing the clinical, social and human context of population segments and as a result collective knowledge for different factors. 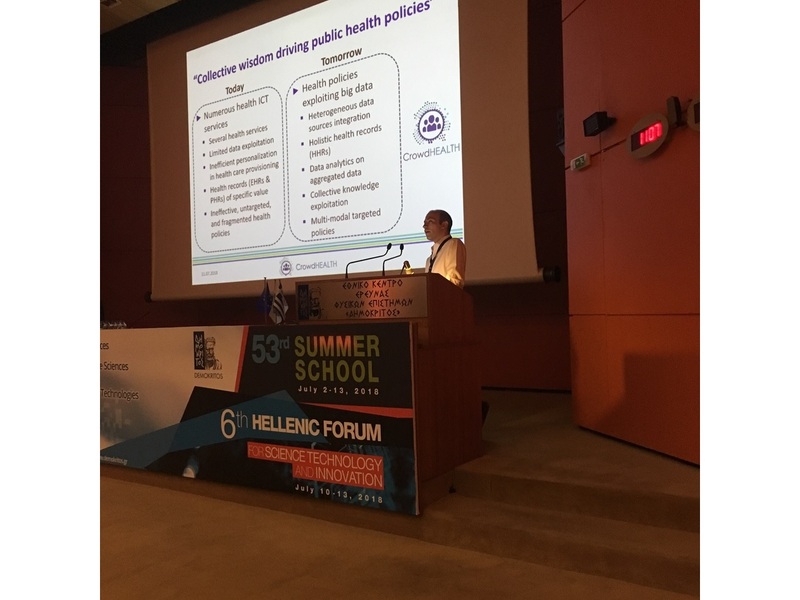 They showed that CrowdHEALTH is a secure integrated ICT platform that seamlessly integrates big data technologies across the complete data path, providing of Data as a Service (DaaS) to the health ecosystem stakeholders, as well as to policy makers towards a “health in all policies” approach. They also explained that creation and co-creation (cross-domain) of policies are feasible through a rich toolkit, the CrowdHEALTH Policy Development Toolkit (PDT), which is provided on top of the DaaS, enabling health policy creation and evaluation by not only addressing the management of patients and population health records, but also by providing advanced decision support, risk assessment and situational awareness towards health policy making.